The rise of FinTech and digital transformation services has been rapid in recent years as a peloton of newcomers enter the sector, all supplying internet-ready, mobile-centric cordless technology to improve people’s lives. So, it comes as warm comfort to discover a stock that’s an old hand at introducing bright tech ideas. Operating since the mid-’90s, the Gruden Group (ASX: GGL) has a solid history in the world of digital transformation, working with both enterprise and government clients. This $15 million capped company’s growth has been evidenced by the 22% increase in revenues it has just reported in its latest quarterly – hitting $4.55M revenue in March 2017 quarter alone. GGL’s digital services technology allows for a smooth transition from offline to online, streamlining how customers interact with enterprise and government, and pay for goods and services. The company has four divisions including Digital Services, Performance Marketing, Government Practice and mobileDEN – a FinTech platform enabling mobile transactions for businesses in all sectors, and particularly in the Quick Service Restaurant (QSR) sector. GGL co-founder, Todd Trevillion successfully developed and commercialised the mobileDEN platform from within the GGL business. The mobile arm of this digital technology company has hit some major milestones and had some good wins lately. Through mobileDEN, GGL holds contracts with some big names ­including Starbucks, Red Rooster and Jamie’s Italian. 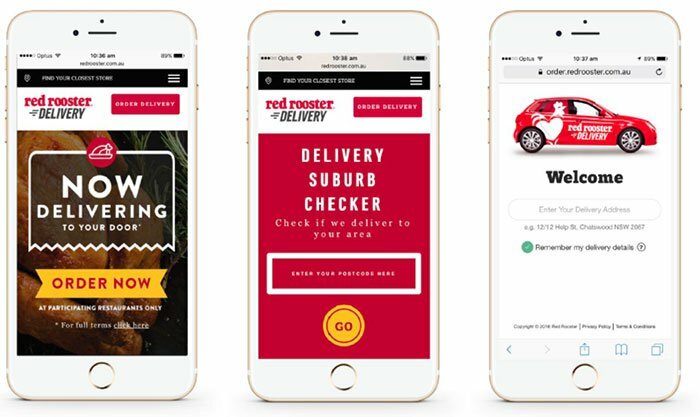 Already GGL’s mobileDEN home delivery platform has helped catapult Red Rooster to #3 in home delivery in Australia. It’s apparent then that GGL has significant experience to leverage for future growth, especially in the mobile technology sector which is tracking towards becoming a $1.5 trillion industry worldwide. However, how rapidly it can take hold of this industry remains to be seen, and as such this stock is a speculative investment. Investors should seek professional financial advice if considering making an investment. GGL has just added another major partner to help make the mobileDEN platform even more useful to businesses and their customers. GGL has entered a strategic partnership with one of the world’s leading online global payment systems — the US$60 billion-capped PayPal. The partnership will enable PayPal’s 6.7 million Australian users to process payments using GGL’s mobileDEN app. This is further validation that GGL’s platform has what it takes to partner with major leading brands. 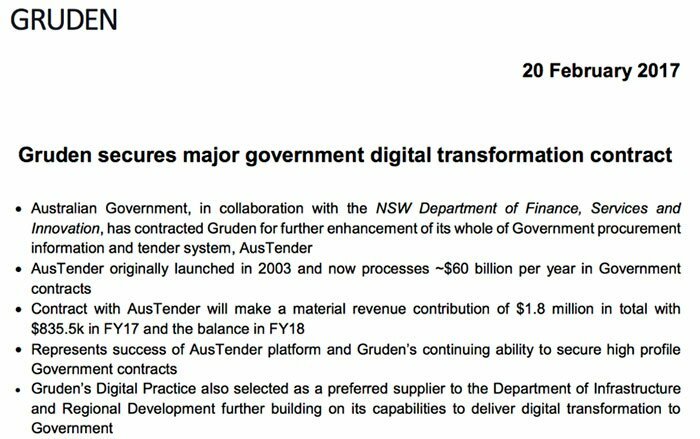 In its other divisions, GGL secured a major government digital transformation contract with the Australian Government, in collaboration with the NSW Department of Finance, Services and Innovation. The company has been contracted to further enhance AusTender — the whole of Government procurement information and tender system. On top of that GGL holds a three-year, $2.9 million contract with the NSW Small Business Commissioner (OSBC) that it won late last year to streamline the current user experience and services offered. The systems designed for the OSBC has the potential to be scaled for use by other government departments. When technology met finance, FinTech was born — and GGL isn’t missing a beat as it looks to commercialise the insatiable drive both small and large businesses have to monetise online users of all ages, primarily via its mobileDEN platform. This technology is timely, as businesses across all sectors rush to digitise and modernise their operations. GGL is the equivalent of a propellant for both small and large businesses, using advanced data analytics tools to zoom around the information superhighway searching for revenue. Its various business units combine to empower their operations to improve how users interact, communicate and bill their clients. Companies must modernise, adapt and embrace the move to the bright commercial world online. Even to just stay afloat businesses must modernise and transition their existing offline operations to online. This is where huge potential lies for this company, which is already seeing contracts piling in, as companies rush to find solutions to their digital needs. 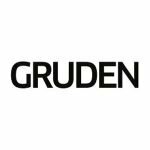 The Gruden Group (ASX: GGL) is an amalgamation of various tech business units, eloquently blended together by a team of tech veterans. Yet GGL has only been available to investors on the ASX since May last year, when it was consolidated and listed via a backdoor listing of Exoma Energy. Though recently listed on the ASX, the Gruden Group has over 20 years’ experience operating in the Digital/FinTech market, while its management team has over 100 years cumulative experience in progressing tech ideas into commercial realities. Now operating as a single entity, GGL is striving to commercialise a very simple, yet still largely untapped market: transitioning clients’ existing processes and services online. GGL simplifies how existing businesses can do more with less, courtesy of the rich set of features made possible by use of its technology. It makes financial transactions, communications and payments channels operate just that little bit smoother. The likes of Starbucks, Red Rooster, Frasers Property, Hannover Re, Ausgrid, Jamies Italian and Fraser’s Property have already signed up to GGL’s services, validating its market edge. 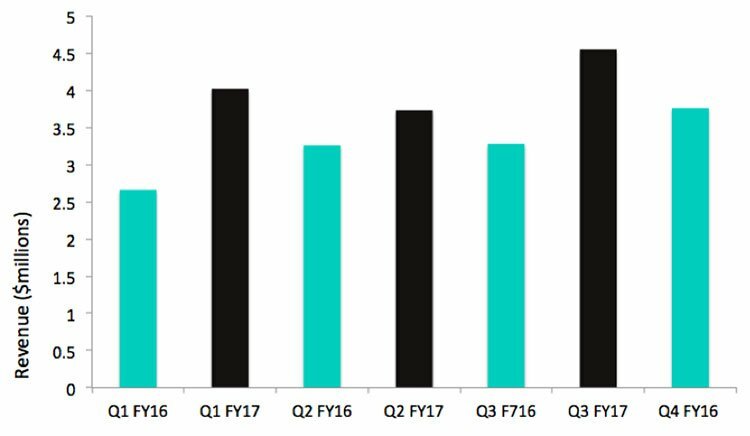 Its latest revenue figures are also impressive with $4.55 million reported for the March quarter versus $3.73 million in the December 2017 quarter – a 22% increase. Total revenue for the nine month period is $12.3 million versus $13 million for the full year for 2016. So you can see how well GGL is tracking. And now, GGL has added PayPal to its list of big name partnerships. PayPal supports online money transfers and serves as an electronic alternative to traditional paper-based methods. The partnership will enable GGL’s transactions platform mobileDEN to process payments through PayPal, whilst also providing an improved service to its brand customers. It is the perfect fit for mobileDEN as PayPal’s 6.7 million Australian customers will now be able to use the service for payment at Quick Service Restaurants (QSR) using mobileDEN apps. PayPal, as a payment method, is in addition to mobileDEN’s existing Master Merchant agreement with Westpac that enables it to expedite the onboarding of brand customers. Previously, merchants were required to onboard each franchisee individually, however, being a Master Merchant with Westpac and now PayPal, mobileDEN can process payments on behalf of the individual franchisee and reduces the liability for its customers. The Master Merchant status and the addition of PayPal’s services have solidified mobileDEN’s position as a one-stop shop to process payments from the leading and prevalent payment methods. The Aussie Government has signed multiple deals for GGL to power its transition online. 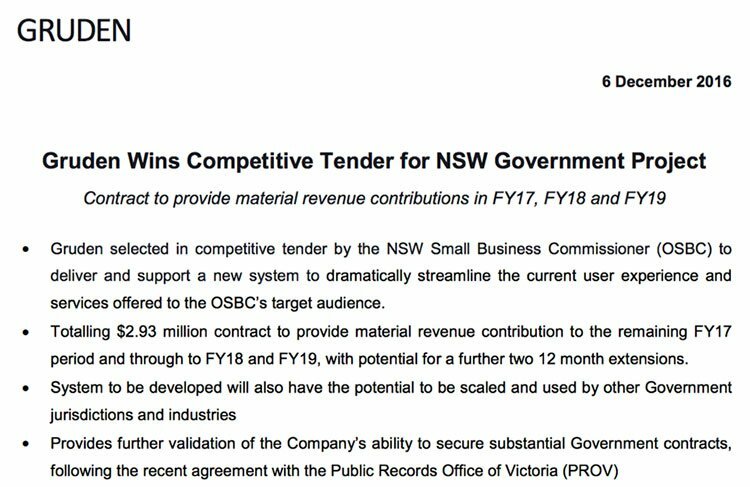 In December last year, GGL won a three-year $2.93 million contract with the NSW Small Business Commissioner (OSBC) to streamline the current user experience and services offered. The systems designed for the OSBC has the potential to be scaled for use by other government departments. One thing we love about the FinTech and digital sectors are their innately collaborative nature. And this deal came about with the help of aLearning Management System (LMS) provider by the name of Velpic (ASX: VPC) . Velpic enables companies to train and educate their staff and clients via digital means that are easy to administer, monitor and roll-out. The tender to supply LMS solutions to the OSBC involved VPC delivering the means for the OSBC to create customisable training videos for its staff, and GGL providing the technical expertise to ensure VPC’s and OSBC’s systems sync up as expected. There is a strong potential for VPC and GGL to collaborate on other projects for larger clients, over the near to medium term. GGL is now looking to further build this revenue channel, with more collaborative announcements anticipated. The plan is to integrate VPC’s technology directly into GGL’s own arsenal, cutting the corner to a richer solution in its own niche sector. That’s the way we like to see companies operate here at The Next Tech Stock — collaborating with other techies as they build out their own respective ecosystems. The overarching plan is to steepen the rate of client acquisition while securing synergetic partnerships that help to establish new sources of recurring revenues. ...GGL secured a major government digital transformation contract with the Australian Government. The contract will add a $1.8 million to GGL’s revenues across 2017 and 2018 as well as the less tangible benefit of boosting Governmental relationships and demonstrating its strong capabilities to deliver digital transformation. On top of that, GGL’s Digital Practice was selected as a preferred supplier to the Department of Infrastructure and Regional Development. High quality services revenue — such as this — underpins GGL’s ongoing investment in its mobileDEN platform, which is delivering increased annuity revenue from licencing and transactions. One of the key facets behind GGL’s success has been the move to earn a greater portion of its income as annuity-based revenue as opposed to a usage-based fee-for-service structure. With such big clients now under contract, GGL was generating $1.3 million in revenues each month, in the year to December 31. Through to the year-end, government contracts were bringing around 27% of those revenues. Those contracts included one with the Public Record Office of Victoria, to create a cloud-based environment to make its records available online. But the figure doesn’t yet include revenue from the recently signed government contracts. Total revenues were $13 million in the last financial year, and the company announced YTD revenue to March 31 st of $12.2 million, so we can expect that revenue will be significantly higher this fiscal with those contract wins now in place. This digital services spearhead is currently valued in the market at only $15.1 million. Here at The Next Tech Stock , we think that makes for a great entry opportunity given what GGL has in its digital locker. Just check out how another of our revenue generating stocks has recently performed. We are hoping to see another growth story unfold in GGL over the coming months. Let us explain how GGL plans to springboard from its currently undervalued market position, to the forefront of the FinTech and digital services sectors – that are seemingly mushrooming into every walk of life. As GGL amasses multiple big name government and enterprise clients partnerships it’s not unreasonable to think that it could have a future similar to New Zealand based cloud-accounting software provider Xero, or another Aussie-grown FinTech group — the now $7 billion-capped Atlassian Corp. It should be noted here that GGL has a long way to go to reach the levels of the abovementioned peers, and there is no guarantee an investment will be successful. Investors considering this stock for their portfolio should seek professional financial advice before making an investment decision. For those that may want an overall company refresher, it’s worth taking a look at its broader strategy. GGL’s ‘digital services’, ‘performance marketing’, ‘government’ and ‘mobileDEN’ divisions make up GGL as it is today. You may remember that we explained these four pillars of GGL when we introduced you to the company in October last year . Digital Services – builds and maintains digital platforms for small to large businesses. Government Practice – develops platforms for Federal and State government departments. mobileDEN – a FinTech platform enabling mobile transactions for businesses in all sectors. Combined, GGL’s business units represent a one-stop-shop method of delivering digital solutions in any market sector. Despite being spun-out as late as 2013, MobileDEN has already secured eight leading clients which help validate its technology and application. The engagement and transaction mobile technology platform lets customers choose how they engage with a brand through ordering, transacting, loyalty and rewards, communication and even entertainment — all underpinned by strong data analytics. Established brands such as Starbucks, Mad Mex and Red Rooster have all turned to GGL to improve how their customers interact and pay. This partnership has been a huge success so far as GGL’s platform is now powering Red Rooster’s home delivery service and loyalty apps, therefore playing a significant role in the transformation of the Red Rooster business. MobileDEN continues to gain traction and GGL is looking to scale up. To further expand mobileDEN’s customer base, GGL plans to strengthen its operational capabilities via an enhanced customer support team, a new integrations team for loyalty, POS and e-commerce and payment gateways, and a new dedicated product development team. With GGL squarely focused on transitioning their tech ideas into commercial realities, we think there could be a flurry of good news ahead as more customers get on board. GGL’s potential is already carrying over to its books with some significant financial improvements announced in the most recent quarter. The company’s revenue rose by 18% in the March 2017 quarter, from $3.73 million in December 2016 quarter to $4.55 million. The costs of doing business was also reduced over the past year, allowing the company to continue to invest in its mobileDEN platform and keep forming partnerships with blue chip clients. GGL is now determined to expand its market footprint via a several different avenues, but the big one in sight is China. As with most Aussie tech companies, turning to China, and its one billion reasons to be cheerful, is a no-brainer. GGL wants to crack into the fastest growing online market, backed by the country’s growing population and economy. However do bear in mind that investing in early stage, small tech stocks like GGL do entail risk, so apply caution to any investment decision. Chinese consumers are just as tech-savvy as their Western counterparts and they are transitioning to online-sourced content, online shopping and e-commerce faster than any other country on Earth. As seasoned small-cap investors would know, it’s usually the people behind an idea that are ultimately responsible for its performance. GGL is thinking along the same lines, scooping up one of Australia’s leading digital catalysts. John Butterworth, the former CEO of The Digital Industry Association of Australia (AIMIA), joined GGL’s Management team last year. There’s hope that his business nous within the digital landscape and his tech sector acumen, will be a catalyst for GGL’s emergence as one of Australia’s leading FinTech companies. AIMIA is a grass-roots organisation committed to improving Australia’s digital footprint on a global scale, by empowering Aussie tech ideas to bloom into profitable businesses domestically. With its former Head now batting for GGL, we’re hoping to see his carryover commercially at GGL. 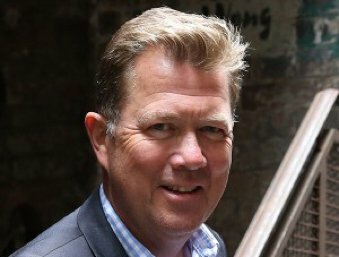 In June 2016, shortly after listing, GGL hired ad-industry guru, Tim Parker as CEO. Furthermore, GGL’s original founders: Todd Trevillion, Warren Barry and Brent Trimnell-Ritchard, are each still involved in the day-to-day running of all aspects of GGL, particularly in strategy and business development. These guys know that the future of commerce is e-commerce. The future of business is online, and it’s all about scale. 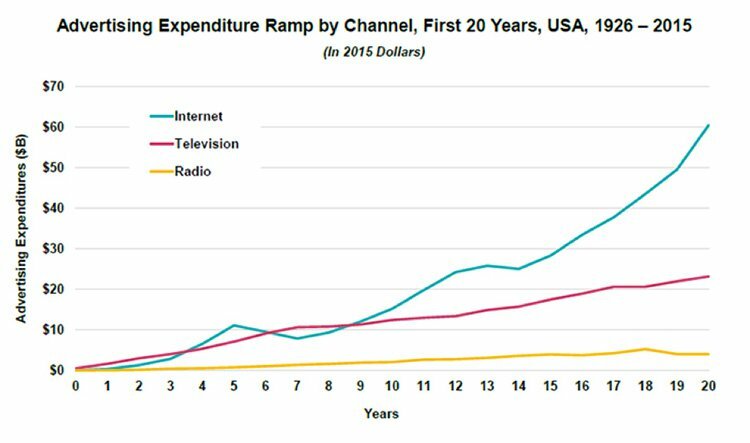 Internet spending is taking off, with rates of return in TV and radio failing to keep pace. Internet advertising is increasingly the key to generating new sales, customers and business opportunities. 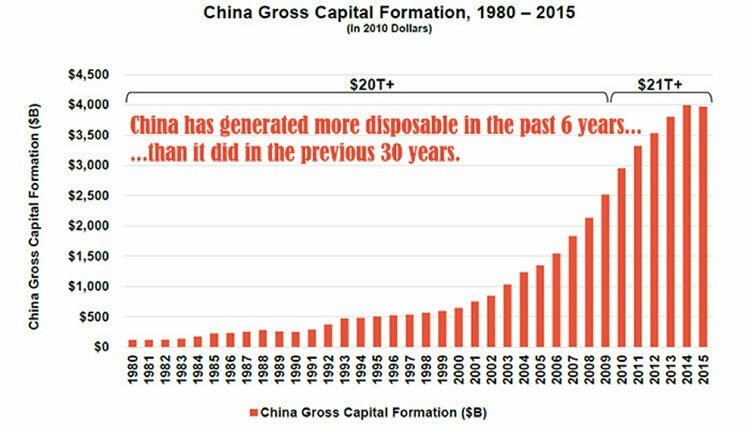 And it just happens that the market with the highest growing rate of mobile phone use, the fastest growing rate of internet-connectivity, and supercharged by the highest rate of income growth in history is China. 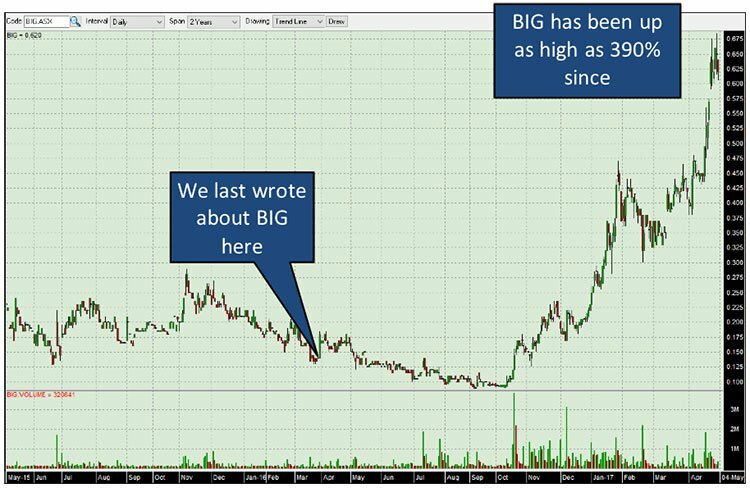 These trends are not going unnoticed by GGL’s Management, which is why we’re quietly confident of its ultimate success on the ASX given its operations in both China and Australia. Businesses the world over are waking up the fact that they must embrace the online revolution, or perish. It’s already being seen that the first businesses to accept digitisation and online connectivity, are now the first to reap the benefits... and if the laggards don’t catch up they’ll be left behind. GGL’s market strategy is therefore a no-brainer. Being the glue that sticks the offline and online worlds together could be very lucrative in today’s uber-digital, super-fast gadget-saturated society. As we increasingly turn to digital solutions to solve age-old problems, GGL becomes a timely business idea that’s barking up the right tree. Tomorrow’s interconnected world, knitted together by smart gadgets, isn’t just a concept to look forward to — it’s already here and being rapidly adopted. It’s hard to argue that GGL doesn’t have a bright future ahead of it. With a number of major contracts already on its books, there remains plenty of opportunity to expand its reach and help many more businesses and government departments. And it has the right blend of tools at the ready plus proven management to help fill this need.